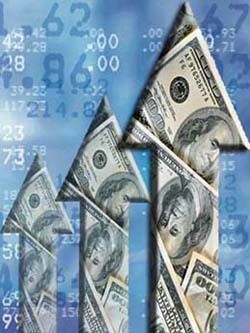 In its latest report on the Lebanese economy, the Institute of International Finance (IIF) projected economic growth in Lebanon at 7 percent in 2010 and 6.5 percent in 2011, slightly down from 8.6 percent in 2009, as reported by Lebanon This Week, the economic publication of the Byblos Bank Group. The Institute of International Finance (IIF) indicated that Lebanese authorities missed an opportunity to implement significant fiscal measures during the current favorable economic conditions, as the 2010 budget does not aim for a significant primary surplus through the implementation of long-delayed reforms, as reported by Lebanon This Week, the Byblos Bank Group’s economic publication. Figures issued by the Central Bank show that the net investment portfolio of Lebanese banks and financial institutions in foreign debt and equity securities totaled $5.33 billion at the end of September 2009, constituting an increase of 20 percent from $4.44 billion at end-2008 and an increase of 12 percent from $4.76 billion at the end of September 2008, as reported by Lebanon This Week, the economic publication of the Byblos Bank Group.